In the Army, an aviation operations specialist schedules and dispatches tactical aircraft missions. You've heard the expression "keep the trains running on time"? Soldiers in this job, which is military occupational specialty (MOS) 15P, keep the planes running on time. MOS 15P requires a high degree of tactical and organizational competence, and while they may not see time in the cockpit, these soldiers are just as important to the success of any flight mission as their pilot counterparts. If you're someone who revels in schedules and plans, this is the Army job for you. You're responsible for making sure local and cross-country flight clearances are processed, checking the accuracy of flight plans and coordinating them. Flight logs on all flights and individual flight records also fall under your purview in MOS 15P. This job also includes alerting crash crews of emergencies, and perhaps most importantly, you'll need to have a bit of meteorologist in you, because it's up to you to interpret and post weather reports that could affect flight and flight missions. Job training for an aviation operations specialist requires 10 weeks of basic combat training and eight weeks of advanced individual training with on-the-job instruction. Part of this time is spent in the classroom and the field under simulated combat conditions. 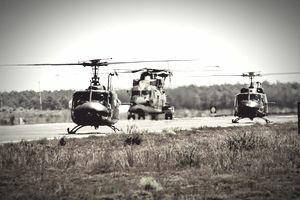 These soldiers receive their aviation training at the Army's Aviation Logistics School at Fort Eustis in Virginia. Some of the skills you'll learn in this job include Army aviation operations and record keeping, procedures for scheduling aircraft and assigning crew and flight planning and airfield operations. To qualify for this job, you'll need a score of 91 in the Skilled Technical area of the Armed Services Vocational Aptitude Battery (ASVAB). The subtests for this area include Word Knowledge, General Science, Mechanical Comprehension and Mathematics Knowledge. You'll also need to qualify for a secret security clearance, which usually involves a background check into any criminal activity or drug use, as well as mental and emotional fitness. For this job, any drug use, including possession, sale or transfer after age 18 is disqualifying, as is a history of drug or alcohol abuse. You'll need normal color vision (no colorblindness), and have to be a U.S. citizen. The skills you learn will help prepare you for a career in aviation. Flight operations specialists often work for commercial and private airlines, air transport companies and airports after their discharge from the military.